Ready to live on the edge? The iOS 11 public beta has just been unleashed. After previewing the latest iOS update at WWDC earlier in June, Apple released the first iOS 11 public beta on Monday afternoon. 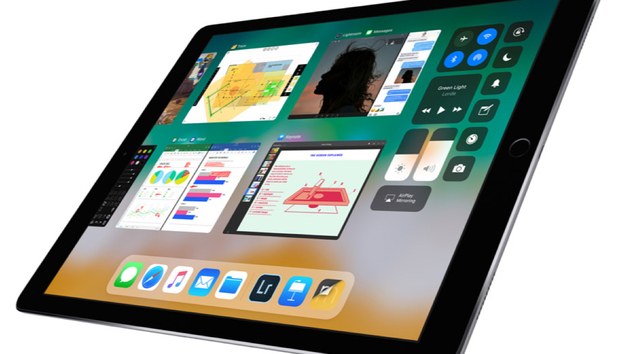 New features include a redesigned Control Center, a brand-new Apple Pay feature that lets you send or receive money to or from your contacts via iMessage, and a handful of new productivity features for the iPad, including drag-and-drop capability and a new Mac-style Dock. Are you interested in installing iOS 11 public beta on your device? Here’s how you can do it safely, plus everything else you need to know about the beta release. iOS 11 is the third version of iOS that’s been made available as a public beta through Apple’s official Beta Software Program, an easier way for non-developers to run the latest beta software for free. Keep in mind that this is pre-release software, so it still needs testing. You might see bugs, your iPhone or iPad could crash more often, and some of your apps and services might not work. That’s why it’s important to take some precautions. The most important thing you should do before taking iOS 11 for a ride is back up. We recommend a tethered backup to iTunes with the “Encrypt this backup” box checked, so you won’t have to log in to all your apps and services again if you should need to restore from this backup. An encrypted backup saves all your Health data too. Again, Apple recommends you install the iOS 11 beta on a secondary device. While you’re waiting for it to download and install, you can check out our iOS 11 FAQ with all the information we know so far. Apple will update the iOS 11 public beta a few times before the final version ships. But updating it is easy—you can update over the air in the Settings app, or use iTunes. It’s always a good idea to back up before updating, of course. Can I go back to iOS 10 if something goes wrong? Yes you can. It requires erasing your device first, so you better believe you’ll need a backup. You’ll just connect your iPhone or iPad to your Mac, put it in recovery mode, and restore it to the backup you made before you installed iOS 11. So yes, you really do need to do a backup to iTunes before you install iOS 11’s public beta. In the fall—typically it’s right around the time the new iPhones come out, which has traditionally been the second week of September. (We at Macworld don’t know what Apple’s plans are for this year, so we’re just estimating based on past release dates.) When the final version drops, people running the public beta will be able to upgrade to it and shouldn’t lose any data—especially if they’ve backed everything up just in case, which I’m sure you’re sick of hearing me tell you by now.